YOU'RE TALENTED - BUT YOUR BUSINESS IS S.T.R.U.G.G.L.I.N.G. You’re an amazing freelancer and you have the skills - but you’re realising that talent is not enough to grow a profitable business. You need business skills - and you’ve never figured that piece out..until now! Resonating hard? This is for you. You're taking on every client that's coming your way - even when the project (or just their name in your inbox) makes your stomach churn with dread. You're riding the feast-and-famine rollercoaster hard - but you don't know where your next client is gonna come from. Your prospects routinely question your prices (or disappear after reading your proposal). You're sick and tired of the never-ending "scope work" and custom proposals that take a bajillion hours - even before a single $ hits your bank account! Your bank account is downright depressing - and you wonder if you'll ever "make it" - and be able to have that dream vacation, luxury home or even just be able to send your (imaginary or real) kids to college with your income. You feel grossly over-stretched and under-compensated - and you don't even want to think about your hourly rate, which is actually in the single digits considering your 14-hour days! You're just sick and tired of saying no to all the things you love and enjoy - just because of money! You're raising your rates higher than all your competitors - and still getting more client requests in your inbox than you can handle. You're wildly + completely obsessed with your clients - they're the kinda peeps you'd love to have beers with! You have a motha-effin' waitlist for the first time ever - that kinda makes you feel like a diva, but also totally awesome - because you finally feel secure about cash-flow! When you take on a project, you know you're doing only the work that you absolutely LOVE - and none of that crap that you do just for the money! You finally have a clear roadmap for growing your business - along with the dough to invest in your A-team (coaches, VAs, designers + more) to help you go to the level. You have zero uncertainty around money - and you also know how to bring in more clients, quickly + consistently! You're finally able to create the life of your dreams - whether it's to be location-independent, build that home in a farm or contribute to your kid's college fund. YOU'RE OVERWHELMED BY EVERYTHING YOU NEED TO DO...TO JUST KEEP AFLOAT! You see TONS of advice around earning your first $1K freelancing or starting a side hustle - but you're wayyy past that stage. You're trying to find what works to actually SCALE your service-based business, without launching courses, eBooks or yet another podcast. You're DONE feeling like a newbie and being in the "figuring it out" phase - and you want to finally reach that place where you're executing on a strategy and getting real, tangible results! And....you're ready to do what it takes to create that BIZ + LIFE you were aspiring to when you started - and you're ready to leave the excuses behind. PUT YOUR COFFEE DOWN - THIS IS WHAT YOU'VE BEEN WAITING FOR. The 8-week mindset, strategy + implementation program for freelancers, creatives and service providers who're ready to hop off the struggle bus and command 5-figure contracts like a mofo. ...that takes you through the actual nuts-n-bolts of building a highly profitable freelance business that you love running - and that's absolutely irresistible to your clients. I'm gonna be working with you through the 8 weeks LIVE - along with a small group of peers - so you get the best possible experience as you transition to that next level! Find clients who value you, need you and can afford you - while ensuring that you actually love working with 'em. Implement systems + processes for time management, project deliver, admin, $$$ and more - so you grow faster! Master sales conversations + create systems that take the client from "Hello!" to "Sign me up! "- with zero sleaze. Create "productized services" that scale, command the big money and sell effortlessly. Create a freelance brand that looks + feels as legit as your actual work - while helping you book more clients! Lock down your mindset practice to build a business that blazes new trails - from now until you're old-n-creaky! Structure a rock-solid pricing plan that boosts profits, attracts your fav clients + grows as you evolve! Goodbye, income rollercoaster! Hello, drool-worthy leads. Your struggle to stay consistent with marketing finally ends here. WEEK 9 UNTIL FOREVER: LAUNCH PARTAAY! Celebrate your accomplishments, take your gifts to the world and strut your stuff like Cardi B at Coachella! Melanie had her best revenue month ever in her business in Jun 2018 - taking home 31% more dough than her former $60k per year job (after business expenses and taxes!!). THE BIZ REBOOT is structured as a LIVE 8-week group strategy, mindset + implementation program - where Satya will be leading step-by-step through the trainings and action steps. It's a small group format - to ensure that everyone can get individual attention from Satya every week. Templates, book recommendations + free resources to level up your business quickly! NO, REALLY - THIS IS DIFFERENT! NOT JUST "INFORMATION" - THIS IS MINDSET + IMPLEMENTATION! You've bought all the courses before -but have you finished all of them? Probably not. Because most courses are focussed on the "passive consumption" - NOT the mindset + implementation. We're eliminating all the pointless videos and giving you what you need the most: learn everything live, implement that sh*t and ask for help when you need it! AND MOST IMPORTANTLY: ACCOUNTABILITY TO KEEP YOU ON TRACK! NOT A MASSIVE GROUP - IT'S ALL ABOUT 1:1 SUPPORT! You're not gonna be lost among 300 people - you're going to be a part of a tight-knit group of 6 people or less. Just the right number to get inspired, get sh*t done and get help from Satya when you need it. We're here to keep you accountable. If you slack off during the 8 weeks - we'll light the fire under your hiney, so you ditch the excuses and get movin' towards your dreams. "I came into the program already making $100K+. But I was feeling exhausted, overwhelmed, and apathetic. In just 6 weeks - I have more clarity, renewed enthusiasm and a niche that I'm in LOVE with - in an industry that's highly profitable!" "The Biz Reboot, wow. I can’t even begin to explain how well Satya breaks down the concepts of running a lucrative solo business. For example - Week 2: Productized Services. Right off that bat, that system will add thousands to my monthly income. Clients go from thinking "do I want to with this person, yes or no?" to "How much am I going to spend?" With her techniques, you immediately start closing more sales." 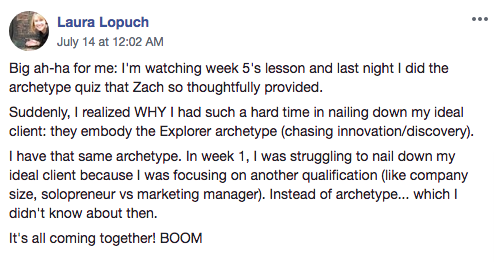 Update: David had his first $10k month in Jul 2018 - even before the program officially ended. WANT RESULTS LIKE MELANIE, LAURA, DAVID + RACHEL? BOOK A CALL! OH AND I'M SATYA, BTW. Hi there, I'm Satya Purna - the founder of ZAG Studios and the instructor behind The Biz Reboot. If you're like me - you started your service-based business because you're really good at what you do and you want to create amazing work that ACTUALLY helps your clients. Except you quickly realised that it's not enough to be great at your work. For you to be able to create the income (💰💰) + impact (❤️❤️) you dream of creating - you need to know how to run it like a business. And you need to be able to prove to your clients why you deserve a higher rate - when there are SO many cheaper freelancers out there (whether on Upwork or in your own city). In the last few years, I have discovered that approaching your 'freelancing' as a business - and building the right packages, pricing, systems and a real brand around it - is the fastest way to scale to higher profits, better clients and more solid, stable growth. THIS is what took me from struggling to make $7,000 per month to making $25,000+ months - easily! The Biz Reboot is me opening up my kimono and sharing my best strategies, tools + systems to help create similar growth trajectories in your business - without any expensive, painful and downright embarrassing mistakes I made on my own journey. And it's not just "theory" either - I'm giving you an all-access pass to ME, my coaches and my journey, so you can get the exact kind of help you need to crack that next level. If you're ready + willing to roll up your sleeves and do the work - I'd be honoured to support you. Laura dramatically increased her rates, created new offerings and finally has the confidence to sell her packages with clarity and conviction on her sales calls with clients. She shares more about how the program helped her grow her business here! 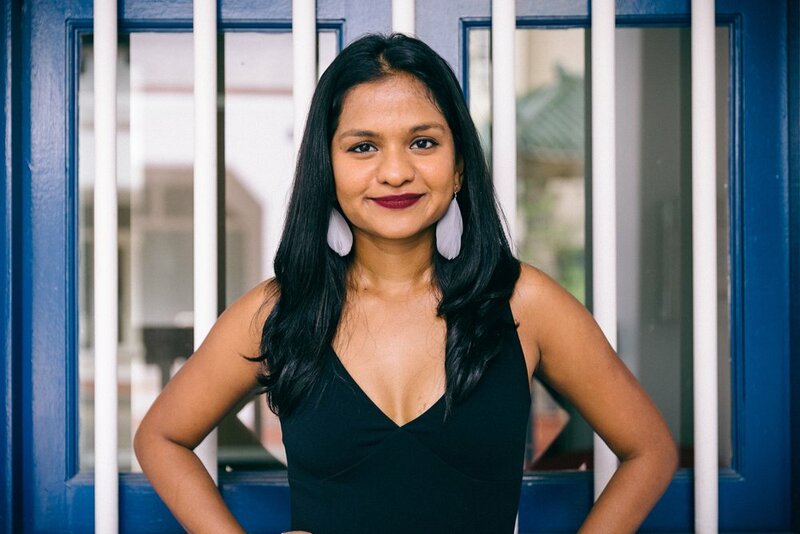 Meqa doubled her (already high) rates and ended up winning a retainer to help train her clients' staff - by positioning (and pricing) herself as an expert. Watch this video to see her break-down the exact mindset shifts that helped her make it happen! "I’ve made more progress in my business over the past 6 weeks than I have in the past two years! The missing piece for me was mindset. You promised that you wouldn’t let me fail, and you've delivered on that promise. I can’t wait to see what my business looks like a year from now!" "I was struggling with putting together productised packages - because I didn't know what it could look like for a service-based business. It's so much easier now that I don't have to do custom proposals (I used to hate them) - and I have a roadmap for sales calls, which has boosted my confidence so much." "My biggest breakthrough has been knowing that I can productise in a profitable way - and only offer what I love doing for my clients. I will say, I've LOVED the mindset stuff and can see some results around that right away!" want to level up in a major way? Awesome, but here's what you need to know. Freelancers and service providers who have been in business for 1-3+ years - who are currently earning $3000- $7000 per month and aiming to scale to a multi-six-figure-per-year business. People who're willing to get honest about what's not working, execute like a mofo and ask for help when they need it. THIS IS NOT A PASSIVE CONSUMPTION COURSE - you're required to do the work every single week. People who are committed to showing up to the calls live and do what it takes to go to that next level. Growing your business in the long-term is a mindset game - so if you want to just whine your life away or you're looking for pity, this may not be the right group for you. Ready for the next step? Excellent! ready to discover what you need to hit those $15k cash months? We'll help you discover if this is the right program for you. "Thanks so much for creating the program - it’s awesome. Wish I’d done it 3 years ago, even if I didn’t really nail it, it would have made me another $300k by now (conservatively). Also - one of the best pieces of advice I got from Satya was how to get started in a new niche with zero experience - and get testimonials, before and afters and work samples without looking like a newbie or a desperado - GOLD! This is something EVERY freelancer who wants to start specialising but doesn’t think they can NEEDS to know." Copyright © 2017-2018 ZAG Studios & Satya Purna.